President Donald Trump has announced his intention to jettison the 1987 Intermediate-range Nuclear Forces (INF) Treaty citing Russia’s alleged “violation” and the “threat” supposedly coming from China. Decried by the president last year, New START may be next up on the chopping block. He does not like anything done during President Obama’s tenure. The other option is an analog of the 2002 Strategic Offensive Reductions Treaty (SORT), which limited deployed warheads without verification provisions. According to Andrea Thompson, Undersecretary of State for Arms Control and International Security, the future of New Start depends on Moscow’s readiness to limit the new strategic systems President Putin mentioned in his famous speech in March. Now about the new weapons the Russian president told about. The Sarmat ICBM is replacing the Voevoda silo-based system, which is covered by New START. It does not add to the existing potential. The Kh-101 air-to surface missile has no relation to the treaty – it’s neither a strategic weapon nor a delivery means. 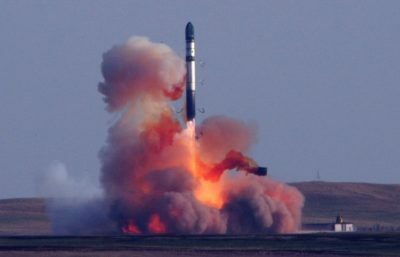 The same way the Avangard glide vehicle does not breach New START when installed on the Sarmat or a carrier that does not fall into the category of heavy missiles. This system is neither a bomber, nor a ballistic missile. In theory, some of the weapons in question can be included into the agenda but it depends on Russia’s goodwill. Andrei Akulov is a retired colonel, Moscow-based expert on international security issues.